With many government employees moving to or living in Virginia, retirement benefits for work in the military or other government entities are common in divorce actions, specifically property division. FBI agents or CIA personnel need a higher level of representation from an attorney who possesses knowledge of tax and other financial implications. At the law office of Carluzzo Rochkind& Smith, P.C., our lawyers have helped residents for over 25 years in Manassas, Prince William, Manassas Park, Gainesville, Haymarket, Woodbridge, Lake Ridge, Dumfries, Bristow, Warrenton, Centreville, Fairfax, Stafford, Chantilly, Leesburg, Ashburn, Sterling, Herndon, Reston, Alexandria, Annandale, Arlington, and throughout Northern Virginia. We understand the high stakes nature of property division that involves valuable assets. Defined benefit retirement accounts are impacted by divorce. The stakes are high when IRAs, 401(k) plans and 403(b) plans are subject to property division. In Virginia, pensions are considered marital property when earned during a marriage. Regardless of the type of account, the process is complex when determining present value. Even if spouses come to an agreement on their own, attention to every detail is vital in dividing defined benefit retirement account or filing a qualified domestic relations order (QDRO) as part of dividing assets in a divorce. 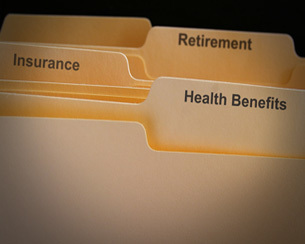 For more information on the division of retirement benefits, schedule your initial consultation by contacting us online or by calling 703-361-0776.